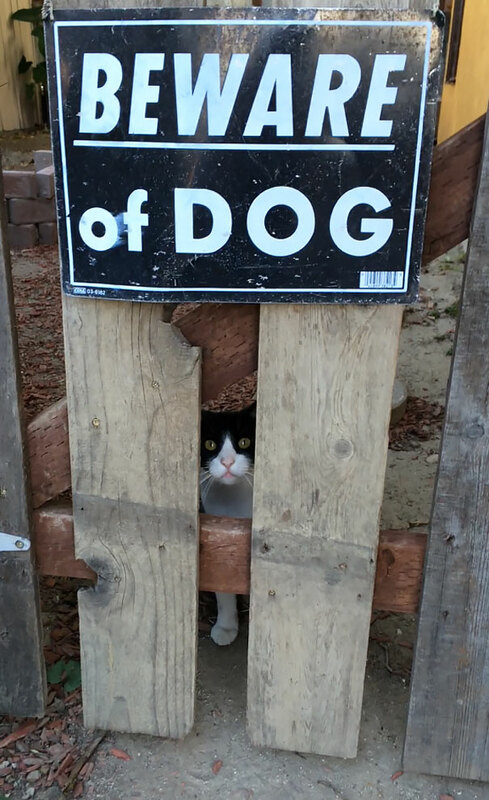 There’s just nothing like a trusty dog to guard your house for you. 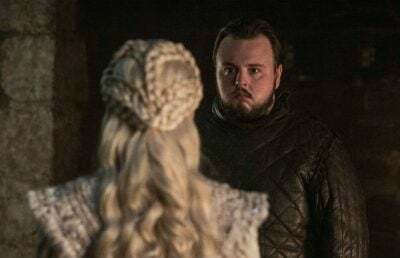 They’re happy when you get back home and they’re angry whenever a random stranger pops up. They give you love and save you the money to get a proper alarm. 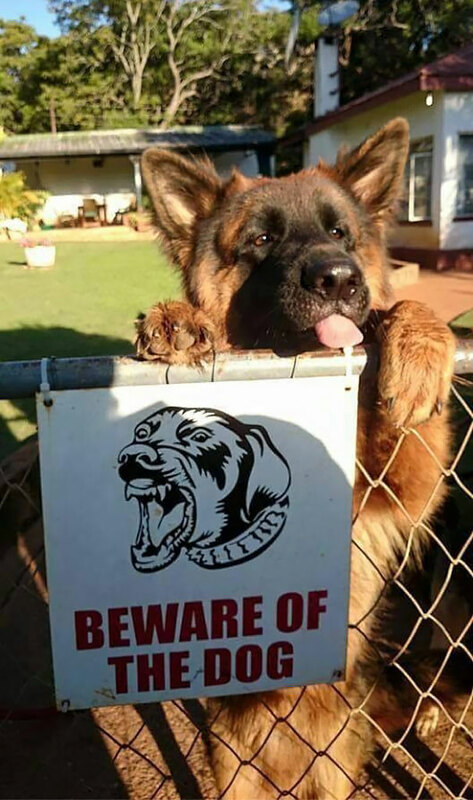 They’re man’s best friend for a reason. 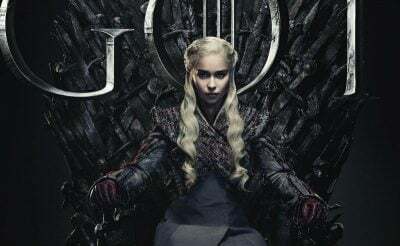 They’re the one pet that can be relied on to defend your home when you’re away, even to the point where they would die to protect it. And they don’t even ask for anything in return, because dogs are awesome like that. 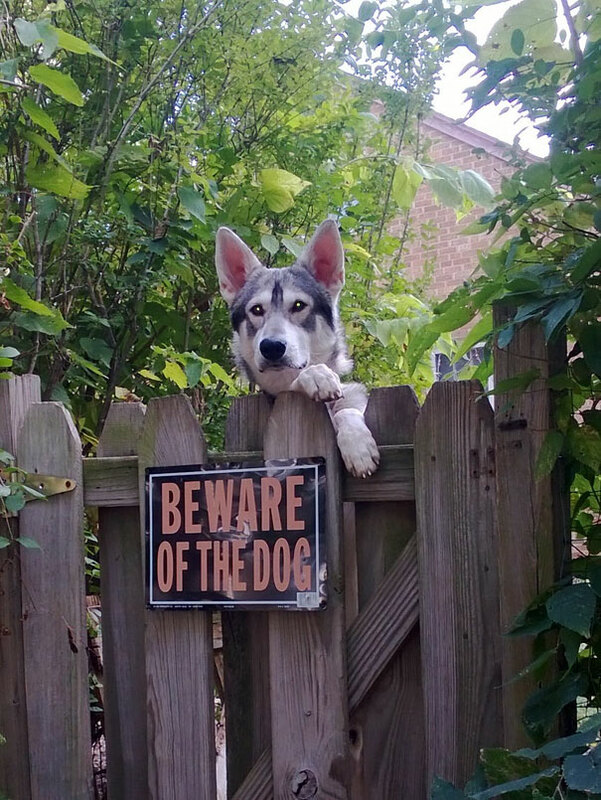 But what if your dog is so nice, it’s the worst burglary repellant in the world? 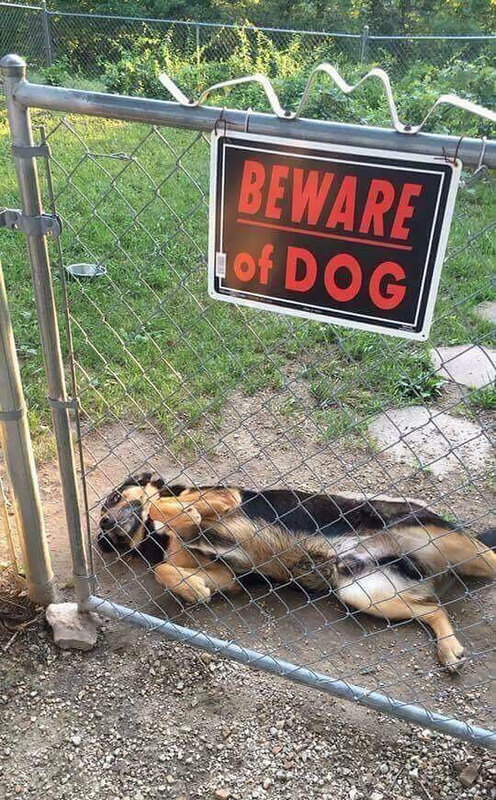 I mean, society demands you put up the “beware of the dog” sign, but not all dogs deserve that moniker. Let’s take a look at some houses even I’d be brave enough to break in to (sidenote: please don’t break in to houses, it’s not nice). 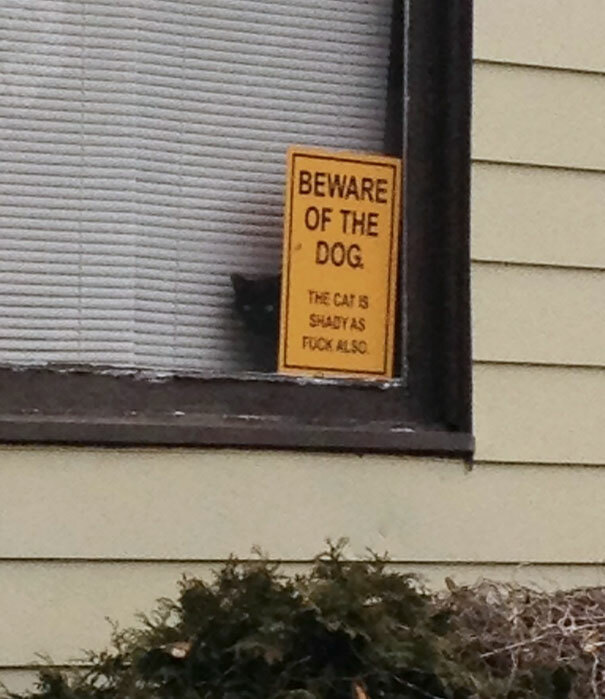 Damn right that cat is shady as [email protected]\k. 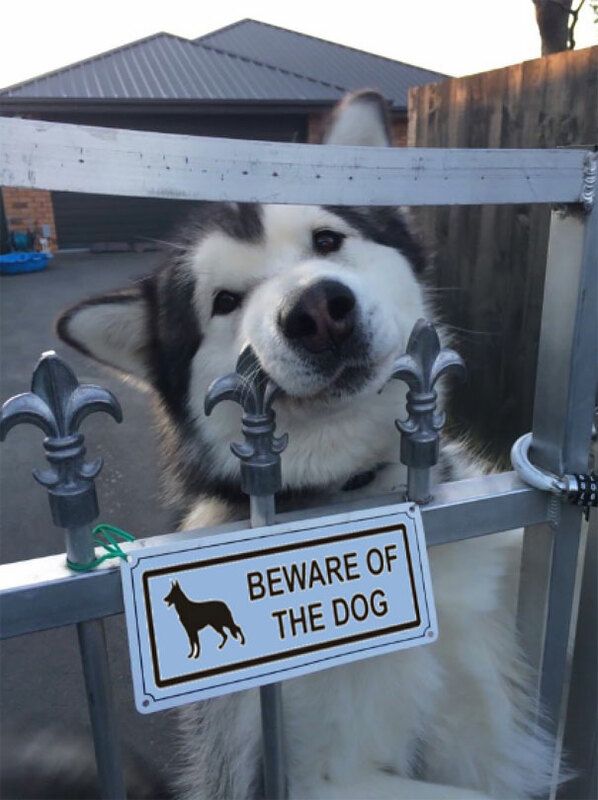 Beware of the dog, he might melt your ice cold criminal heart. I’m breaking in to this place right now and getting myself cuddled to death. Twice. 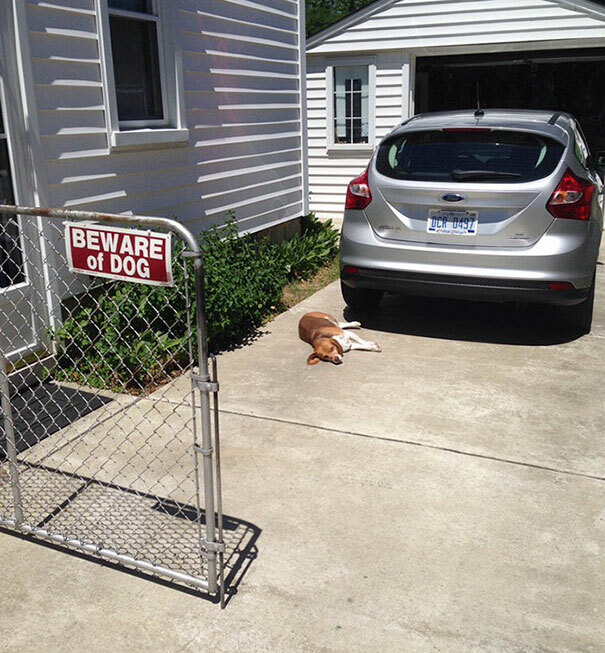 Even guard dogs have to take naps. 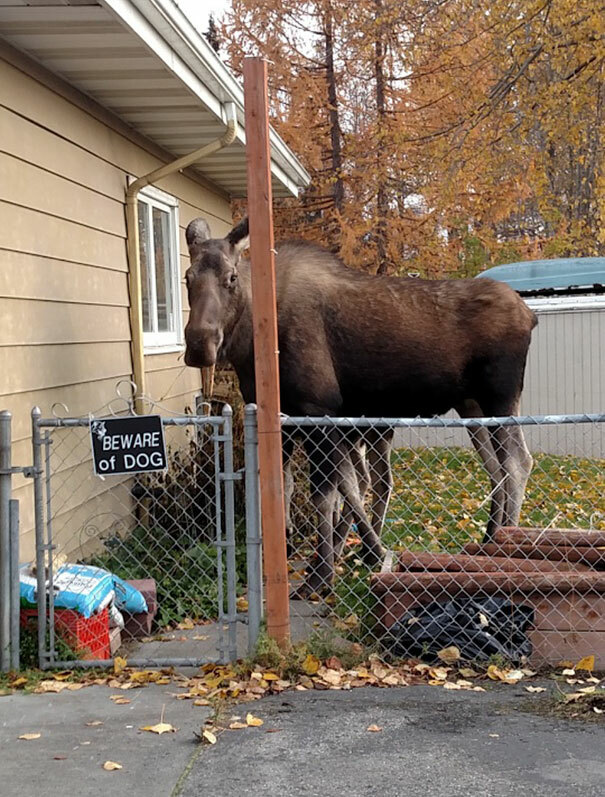 The Canadian dogs are scary! 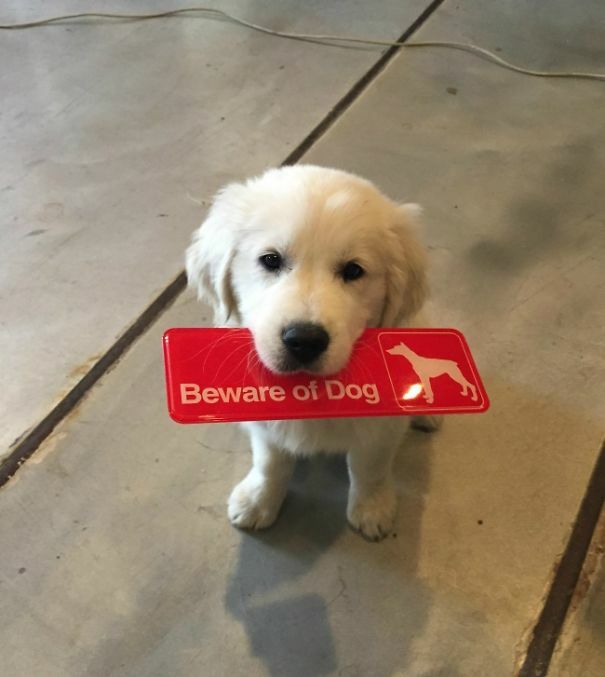 AWWW, HE’S CARRYING HIS OWN SIGN! THE CUTENESS ON THIS LITTLE GUY! 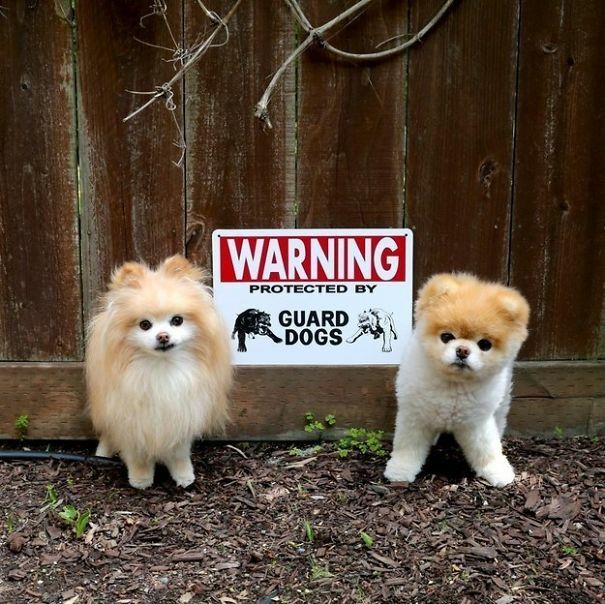 Well, like 40 cm from the ground up is protected by guard dogs. 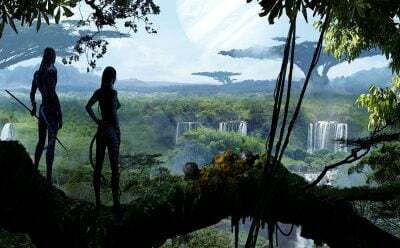 Everything above is probably fair game. 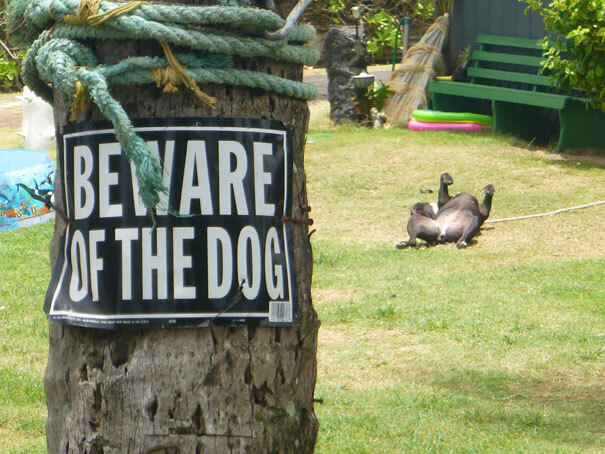 Beware of the dog, he’s working on his tan and gets fairly annoyed if you step in his sunlight. 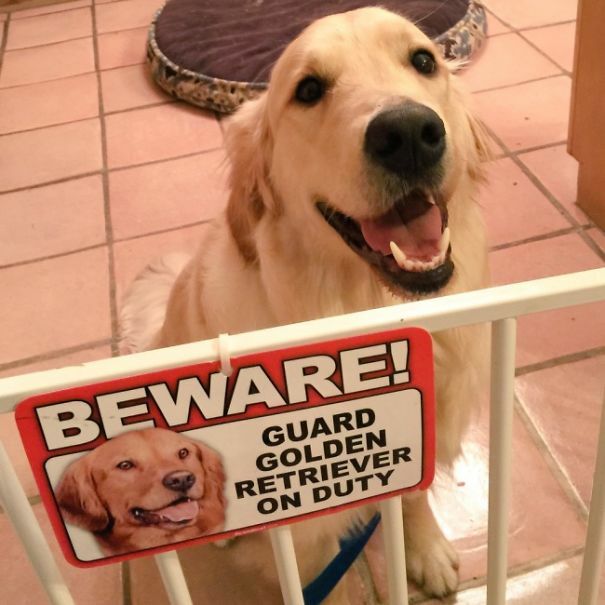 I’ll bet he’s so excited because it’s his first day at his new job guarding the kitchen. 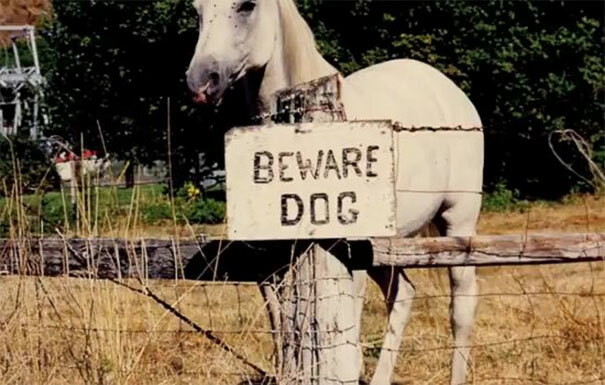 Beware of the DOG-HORSE, MOTHERF–! The dog is suffering from an acute case of naptime.